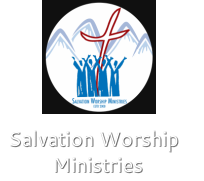 After its inception in 2000, Salvation Worship Ministries has accomplished much in a short period. God has been so faithful! We are humbled and we consider it a privilege to invite prospective worshippers and musicians to the Salvation Music Center. It is part of our vision to impart to our fellow brothers and sisters what our Lord has given us. The courses available at the school are: Acoustic Guitar, Electric Guitar, Keyboard, Violin, Bass Guitar, and Drums. We focus primarily on teaching how to play the instruments and our classes are open to anyone who would like to learn a specific musical instrument. Most of the students are from local churches but there are also a few secular students who are coming to learn.